Without a doubt, CADlink's best release ever. SIgnLab Version 9.1 is the culmination of 3 years engineering work and carefully considered feedback from hundreds of dealers and thousands of customers worldwide. 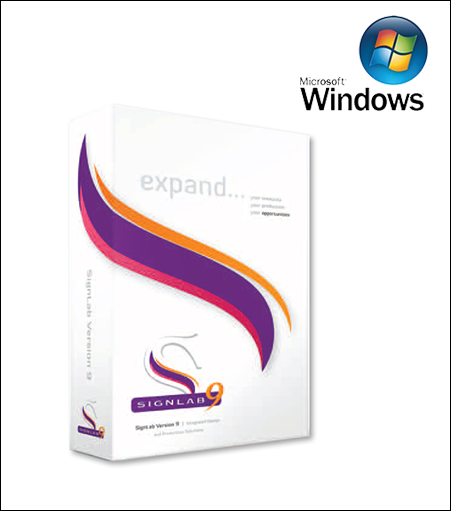 Version 9 is not just a collection of new features, it is an enhanced way of doing things for Signmakers. New application plug-ins from often-used design applications, such as Corel, Illustrator and PhotoShop ensure quick, easy and error-proof ways that signmakers can work with files and applications of all typ[es during the design stage. A similar type interface with Visual Production Manager offers a seamless and centrally controlled production hub for all print, cut, print and cut jobs not only from SignLab but also these popular design applications. SignLab 9.1 provides streamlined workflows that signmakers specified, and new processing speeds that are faster than anything the market has seen to date. Extremely large bitmap files are not only processed faster during the design application but also during the entire RIP process for either print or print and cut output.